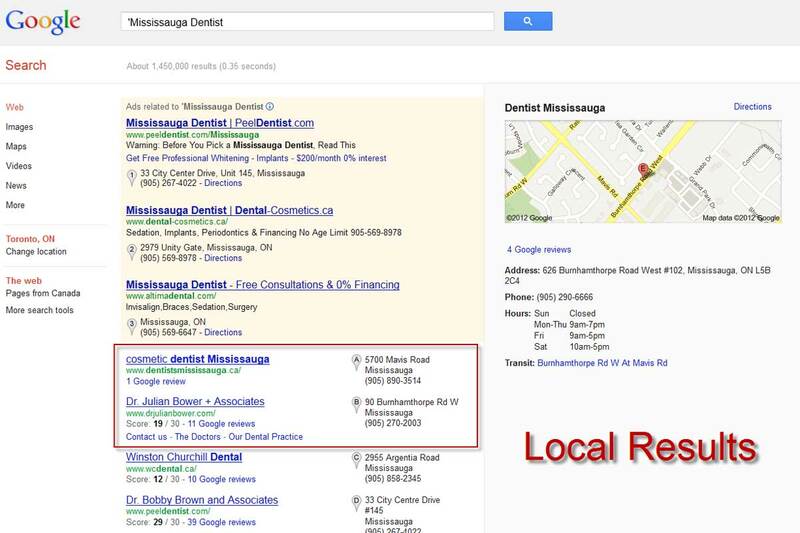 Avalanche Search Marketing Inc. specializes in niche search engine optimization, but our favourite business category is dentistry. We have helped many dentists 'get found'. We understand your needs, and your unique language. 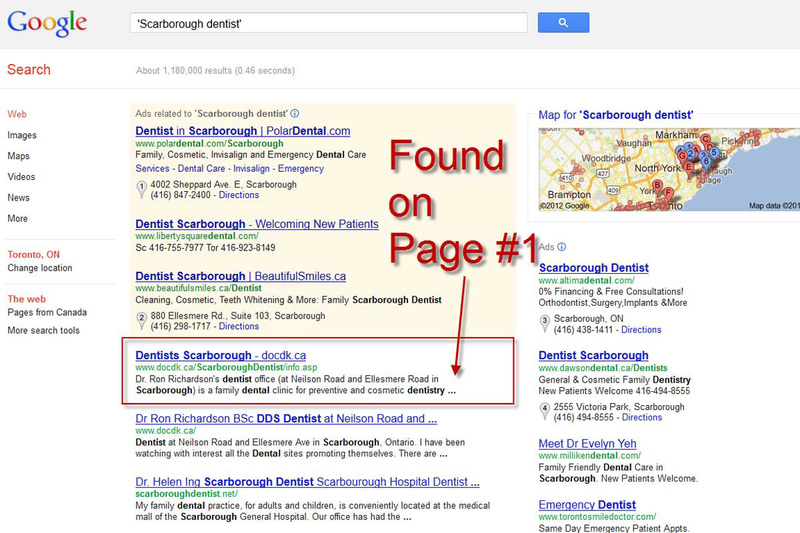 Let us help you get your site found in Google, Yahoo and Bing and make it easier for new patients to find you. It takes years of effort and time to become a dentist. Your focus is the care and well-being of your patients along with promoting good dental hygiene and other healthy oral habits; however, you also have a business to run. Advertising and pamphlets only last one time. You want to be on page one of Google, Bing and Yahoo and you want potential patients to know you exist. 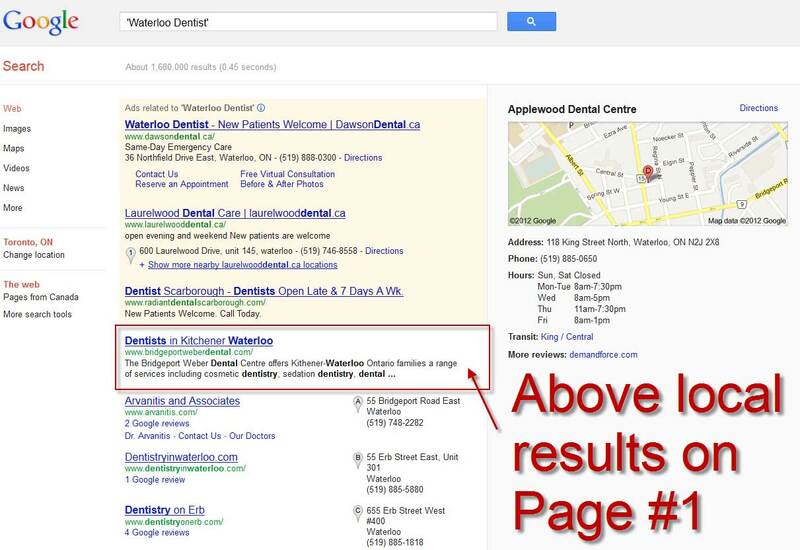 Avalanche Dental Search Engine Optimization is our internal process for ensuring your dental site gets found. We understand what it takes to make sure your site gets on the first page of Google or Bing for the terms that matter. In fact we are so certain that we can help you our guarantee is very easy to communicate: Until we get your site showing on the first page of Google or Bing results for at least half the phrases we're targeting, you only pay half the regular monthly rate, and there is no set up fee! It's that simple. An established city prior to the amalgamation with Toronto. The lines are clearly established and while the clients might ebb and flow, being on page one remains just as important. Within the GTA and next to Toronto, Mississauga is huge. With competition popping up daily, staying on page one is just as important as getting there. When you have three cities bunched together it makes the competition pretty tough. Being on page 1 is critical for the success of any new business. 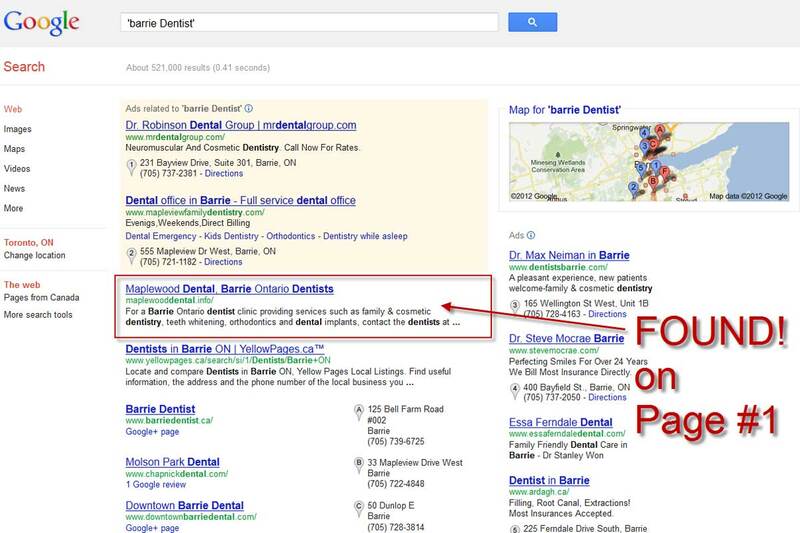 Maplewood is located in Barrie Ontario Canada and competition for the top page is fierce with over 100 dentists in the small city. You want to be on the front page. You want your site found. We show you the results! Our investment in the relationship is defined by the results not the promises. Your website, your message and your product need to be found to be effective. We can make that happen. Take a moment to contact us and get started on the path to SEO success. Check out the proof here. We will agree on a list of terms that are relevant for your site. We start working on getting you found for those phrases. You watch your ranking increase. Your website must appear on the first page of Google or Bing for at least half the terms we agreed to... or you only pay half the regular monthly rate! Spam Filter: * What is 10 + 10? ©2016 AVALANCHE SEARCH MARKETING INC. All Rights Reserved.